Sunshine Stars' coach Julius Kayode punched Lobi Stars' GK Ospino Egbe during the buildup to a football match in Akure. 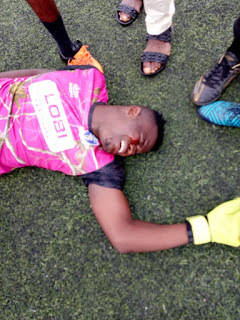 'Bizzare scene in #Akure.Our Goalkeeper, Ospino Egbe, down in serious pains after he was attacked by SunshineFCAkure Chief Coach, Kayode Julius, before today's rescheduled #NPFL match'. 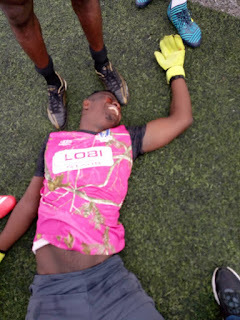 The management of Sunshine Stars FC later handed coach Kayode Julius immediate suspension for improper conduct during the build up to the rescheduled league match with Lobi Stars.